Posted on January 10, 2019 at 3:30 pm. 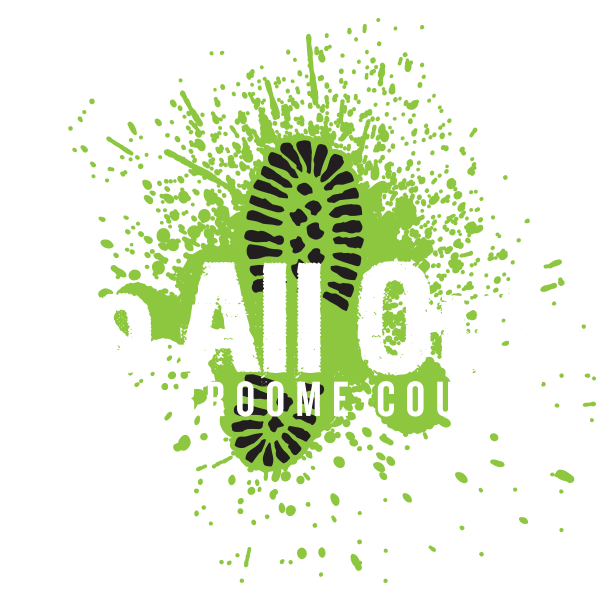 Broome County is a great place to be for some fun in the snow. Visiting our local natural areas in the winter can reveal new sights, sounds and smells, making familiar places into something new to explore. If you are looking to see what winter in Broome has to offer, here are some great ways to Go All Out with some winter fun. Posted on November 30, 2018 at 5:26 pm. If you were to take a look at the calendar for the month of December, you might be shocked to find it quite full of opportunities to Go All Out. 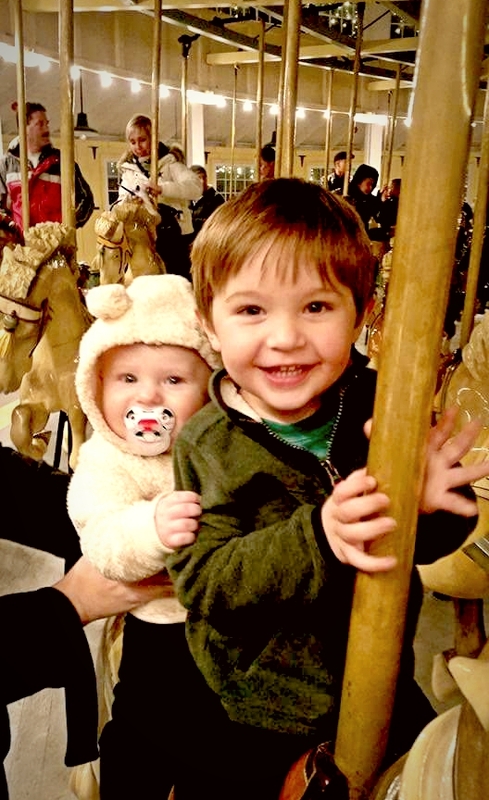 That’s right, Broome County knows how to do it right when it comes to the holiday season. So no need to hide inside. Check out some of the fun things going on. Posted on October 1, 2018 at 1:51 pm. 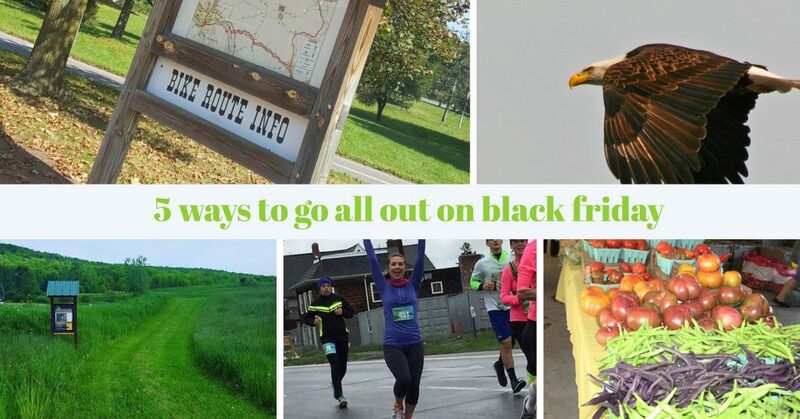 Broome County and Visit Binghamton are excited to highlight the historic, cultural and natural resources of the Susquehanna Heritage Area during the Fall 2018 Path Through History Weekend with events at various locations from October 5th through 8th! Path Through History Weekends are a showcase of New York State’s rich and fascinating history and will feature events at historic and cultural destinations throughout the state. View the Interactive Map for participating locations! You can also view a pdf of the event Brochure and Poster. And mark it on your Facebook Event Calendar. There are events each day, but hours vary at different locations, so make sure to check the resources above. Questions can be directed to Lora Zier at lzier@co.broome.ny.us or 607-778-2114. Posted on June 27, 2018 at 2:16 pm. The sights, sounds and tastes of summer fairs bring back a sense of nostalgia for growing up in Broome County. How can you NOT feel good thinking about riding the rides, eating cotton candy and popcorn, and gathering with friends and family for a fireworks spectacular? The good news is that you can still get that feeling with many fairs, field days and bazaars all summer long (with a few other events thrown in too). This list rounds out our 3 Summer Festival Guides in addition to Summer Food Fests and Summer Music Fests. 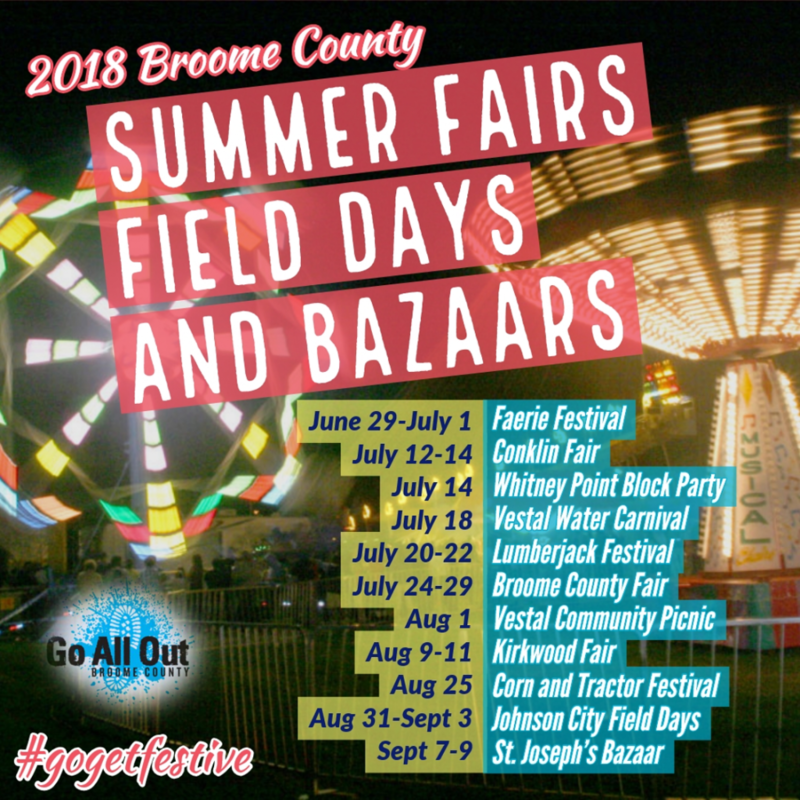 If you can’t find a way to Go All Out at a summer festival in Broome County, then you clearly aren’t trying hard enough! Check below for links to find out more details about each event listed. We will add more as we find out about them! Posted on June 18, 2018 at 7:35 pm. Something about the summer makes you want to get outside and listen to some live music. Luckily Broome County has plenty of options all throughout the week to get your music fix. To help you out we have come up with a list of music events happening throughout the summer. We probably missed some so let us know in the Facebook comments. 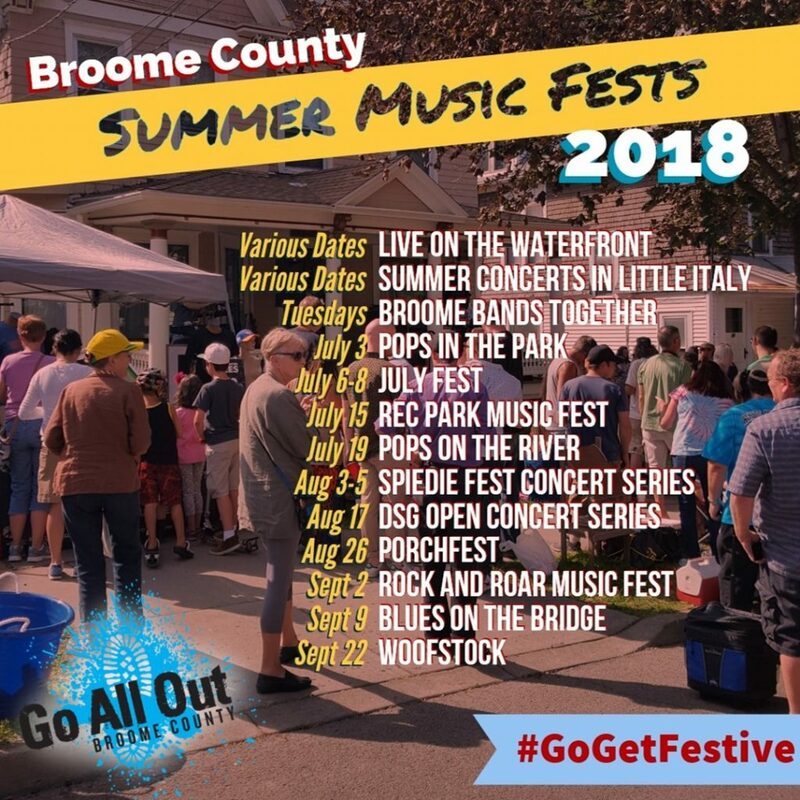 What is your favorite Broome County Summer Music Fest? Click on these links to check out our guides to Summer Food Fests and Summer Fairs, Field Days, and Bazaars. Check below for links to find out more details about each event. We will add more as we find out about them! Posted on May 31, 2018 at 3:07 pm. It’s that time of year again! 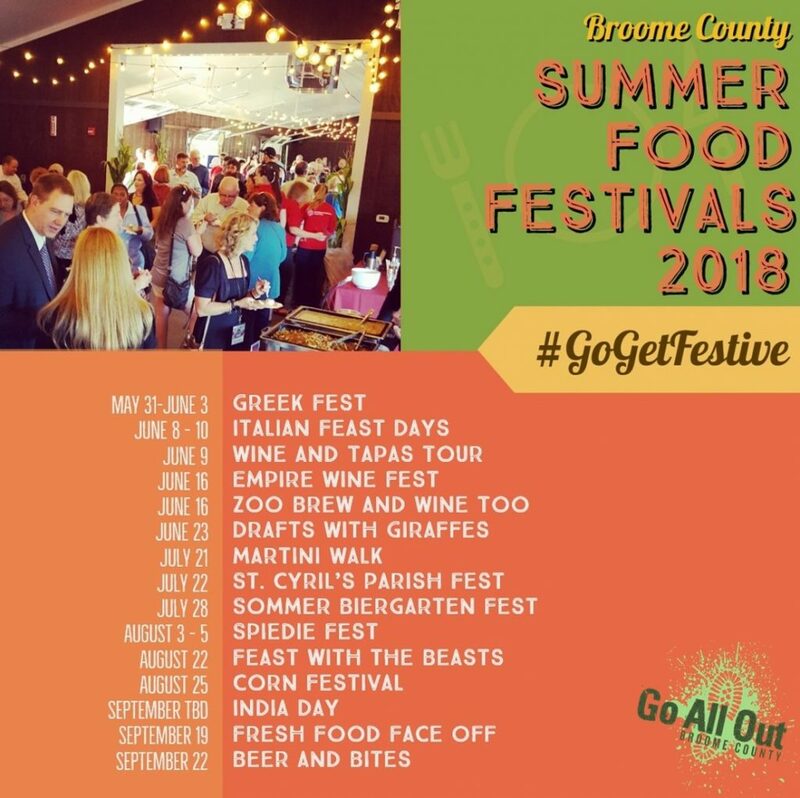 Time to stuff your face at one of the MANY Broome County Summer Food Festivals! Once again we have come up with a list of events happening throughout the summer. We probably missed some so let us know in the Facebook comments. What is your favorite Broome County Summer Food Fest? Click on these links to check out our guides to Summer Music Fests and Summer Fairs, Field Days, and Bazaars. Posted on April 26, 2018 at 7:36 pm. Spring is a great time to venture outside and explore. In beautiful Broome County there is no shortage of great places to get away from it all, right in your backyard. Here is a list of some great hiking spots in Broome County all open for anyone to enjoy. Many might be new to you. We love them all and couldn’t even attempt to rank them, so these are just in alphabetical order. There are so many more spots too so be sure to let us know your favorites that aren’t on the list! If you are looking for the experts on local hiking or someone to hike with make sure you check out the Triple Cities Hiking Club. They even organize regular group hikes for beginners and experts alike. 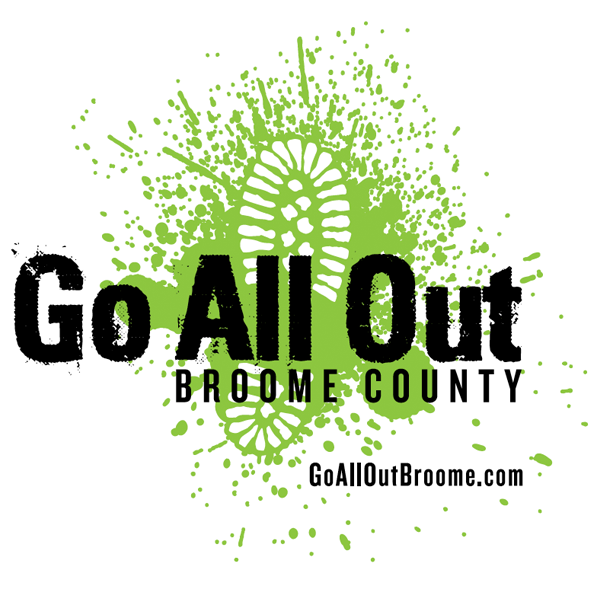 And as always you can check out all the hiking trails on our interactive map via www.goalloutbroome.com/hiking. Posted on November 23, 2017 at 8:00 am. Your heart is racing…your feet at at the starting line…you look down at your watch…5, 4, 3, 2, 1! Is it one of the many outdoor sporting events in Broome County? No, it’s Black Friday!